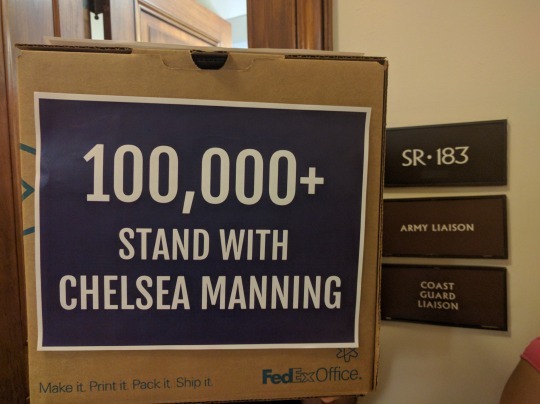 WASHINGTON, DC––This morning Chelsea Manning supporters delivered more than 115,000 petition signatures to the Secretary of the Army Eric Fanning, calling for him to drop serious new charges faced by Ms. Manning as a direct result of her attempt to take her own life on July 5th. The petitions call for the military to provide Chelsea with adequate and humane treatment for both her gender dysphoria and her suicide attempt. 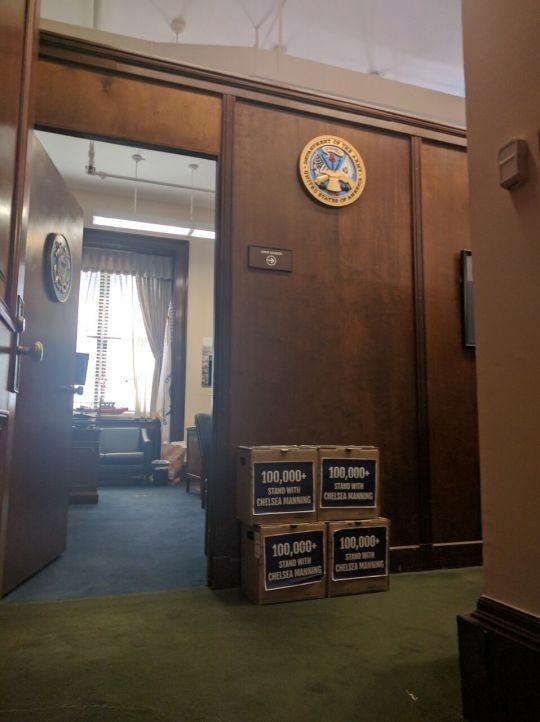 See more photos of the petition delivery below. Ms. Manning attempted to take her own life in July after years of mistreatment in prison, and now the U.S. government is threatening to punish her further with serious new charges directly related to her suicide attempt, which could lead to her being placed in indefinite solitary confinement, among other consequences. 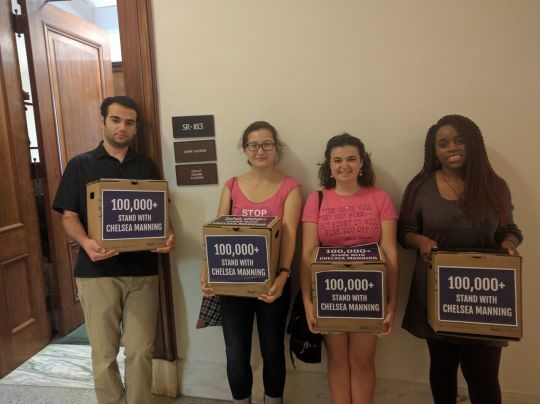 The 115,000 petition signatures came from petitions launched by grassroots activist groups supporting Chelsea: Fight for the Future, Demand Progress, RootsAction, Bill of Rights Defense Committee, and Care2. Last year, a similar petition effort helped draw attention to Chelsea’s situation when she faced solitary confinement for minor prison “infractions” including possession of an expired tube of toothpaste.